Disclaimer: This a sponsored post by Sprig #GourmetEveryday, but the contents and opinions expressed in here are mine. 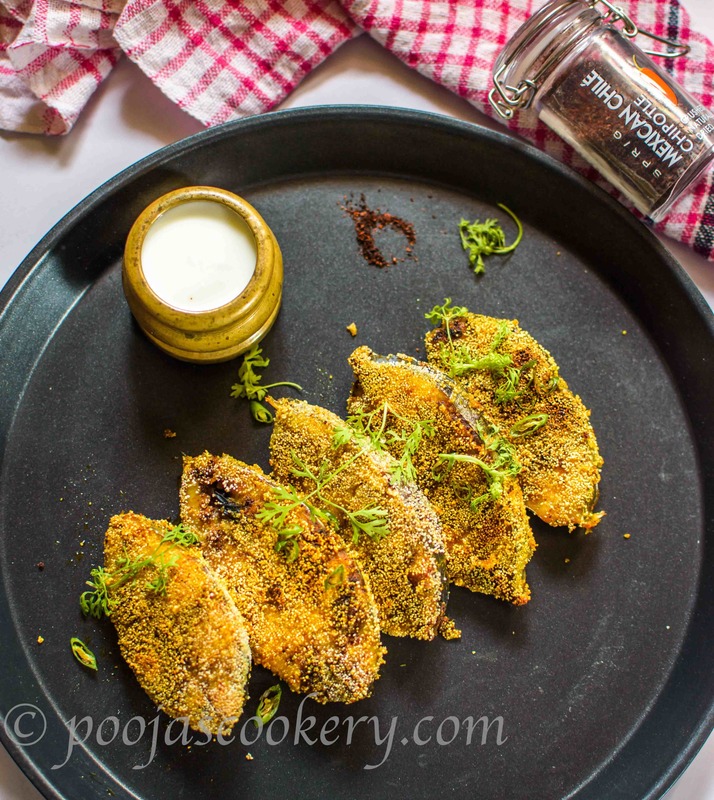 Kingfish (Visvon or Surmai) is marinated with spices and herbs for few minutes and then coated with semolina, after which they are shallow fried to crisp. Fish and me have a unique bonding. You may say, I cannot live without fish, even for a day. They say like mom like son, my son too gets his appetite when there’s at least a piece of some fish in his Thali(Plate). For past few days, I am constantly looking for kingfish here in my local fish market and couldn’t find any, and today to my surprise, got one . Must say, fish prices are soaring up day by day but I just can’t help it when I see some fresh fish . Normally I fry my fish in Goan style, but few days back, I received Mexican Chili Chipotle spice from Sprig just to try and had prepared Chicken Chipotle Pulav which turned out really good. Pretty happy with this spice and ever since, trying it out in my daily recipes. Normally I shallow fry kingfish in Goan style, but just for change, tried out Mexican Chili Chipotle Masala in my fish fry. Added just a teaspoon of this spice along with other masalas(Spices) and it did marvellous job. 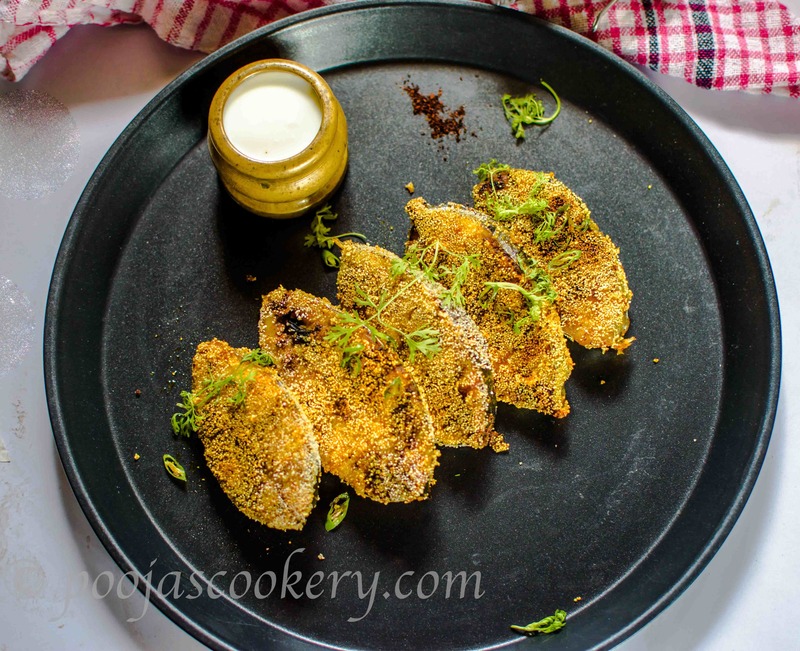 This is one of the easiest recipes of fish without any mess and also the tasty one. Wash fish steaks(Pieces)well with water 3-4 times and apply some salt(May be 2 teaspoons) and keep them aside for about 10 minutes. In a plate, mix together, Mexican chili chipotle spice, 1/2 red chili powder, turmeric powder, ginger garlic paste and a teaspoon of salt. 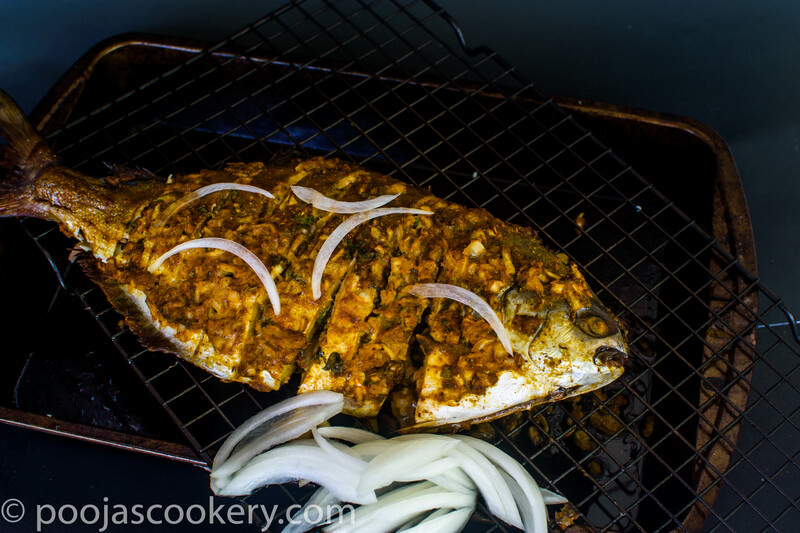 Apply this marinade to fish pieces and keep them aside for 10 minutes. Heat a skillet and add 1 or 2 tablespoons of oil. Take semolina in a plate and mix 1/2 teaspoon red chili powder into it. Coat the marinated fish pieces well with semolina on both the sides and place them on the skillet apart from each other. Keep the heat on medium. Drizzle a tablespoon of oil more over the fish and let the fish fry for about 5 minutes. Then turn them over and fry on the other side for 5 more minutes. Let them fry till they are nice and crisp on both the sides and then remove them on a plate. Serve with your favorite Indian Thali for lunch, dinner or can be also served as an appetizer. Made this as your recipe for my family last night. We really love it!!! Thanks! You welcome Melissa. Happy that you liked it.